Last Friday I was part of the first Melbourne Etsy pop art market, Etsy Night Out Melbourne! It was really busy and a great introduction for me to having a stall in Melbourne rather than out in the sticks! This is a photo of my trusty helper! 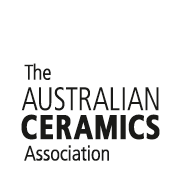 This entry was posted in Ceramic and tagged australia, Australian Ceramics, bowls, Ceramic, ceramics, clay, craft, Etsy, Etsy night out, Etsy pop up, Kinglake market, melbourne, mountain clay, pottery, Stoneware. Bookmark the permalink.